Here are some questions/answers that we are frequently asked. 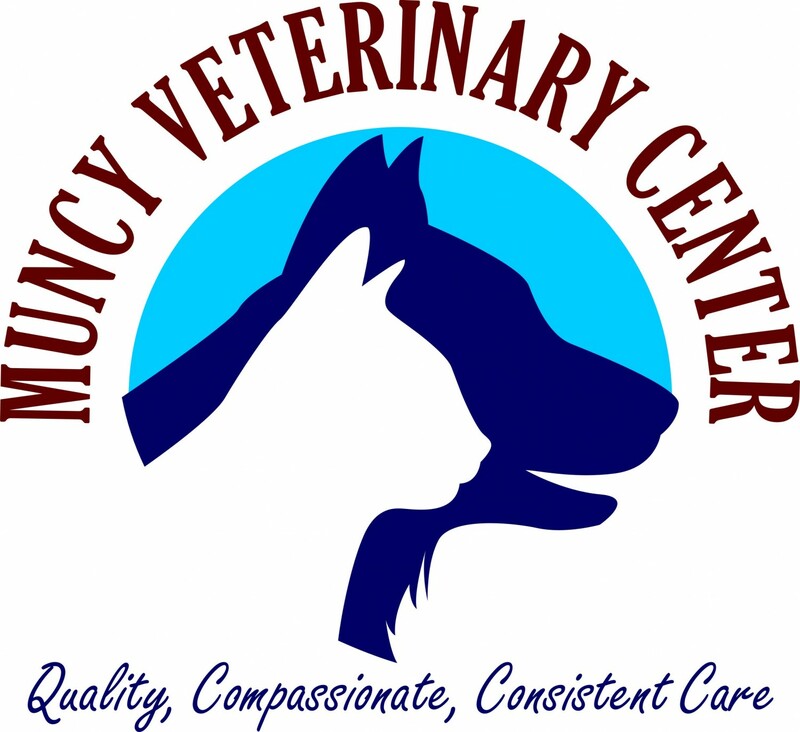 If you have additional questions that aren't covered here, please feel free to give us a call at Muncy Veterinary Center. Our hospital is open Monday through Thursday from 8:00am to 7:00pm, and Friday 8:00 am til 4:00 pm. Cash and Check are preferred payment methods, but for your convenience we also accept Mastercard, Visa, Discover, American Express and Care Credit. Payment is required at the time of service. Care credit is an affordable option for those needing to make payments. See link on our website to apply. Spaying or neutering can be done at approximately 4-6 months of age. Your pet is given an exam prior to surgery to help determine whether your pet is healthy enough to undergo the surgical procedure. This is a blood test that is run here in the hospital prior to surgery. It tests the organ functions, blood counts and clotting function of your pet. The pre-anesthetic blood screening is done to assure safety during surgery and the ability to heal following surgery.